Spinning Pearls is happy to host a stop on your blog tour. Just leave a comment to ask for a spot. Best suited to children's books, mainstream fiction and popular non fiction. Please note; Read and Reviewed blog is open to guest reviewers. However, we do not generally review unsolicited books. Affordable Manuscript Assessments is the blog for how-to writing advice and information from the Affordable Manuscript Assessments and Workshops site and service. 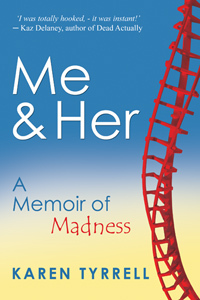 Today I welcome Karen Tyrrell who is answering some curious questions about writing and editing her memoir Me & Her: A Memoir of Madness..
1. How did you go about reconstructing the scenes that took place during one of your later memory blanks? My husband helped me to remember those traumatic memories which I had suppressed. With his hot-poker reminders and fish oil supplements, my memory eventually returned. 2. Did you find it difficult to distance yourself from the material during the editing process? I wrote about the most traumatic events in my life, first as flashbacks. When I was emotionally ready I was able to disclose those events in detail. Beta readers, The Society of Editors and editors like you, Sally offered advice and perspective when I was “too close” to my memoir. 3. How much, if at all, did you change the order or impact of events to make the story work AS a story? I wrote my memoir over six years, perhaps with a hundred drafts. I changed the order of chapters and events several times. The earliest draft was a chronological biography, and then my husband suggested I start at a pivotal point when the police thumped at my motel door, demanding me to open up. 4. How did you know when it was time to write a mental “finished!” on the Ms and go for publication? I thought ME & HER was finished several times. After I received feedback from a publisher I would rewrite again and submit. I did this several times. Then, I added a present day epilogue and a short introduction to each chapter from the ME, recovered perspective. Finally I sought a professional assessment, editing and a final proof read. Writing my own personal journey into and out of mental illness was one of the most difficult things to write about. I wanted the reader to understand the two points of view, the normal ME and the manic HER. http://www.karentyrrell.com .Click on BUY BOOK to purchase an eBook! 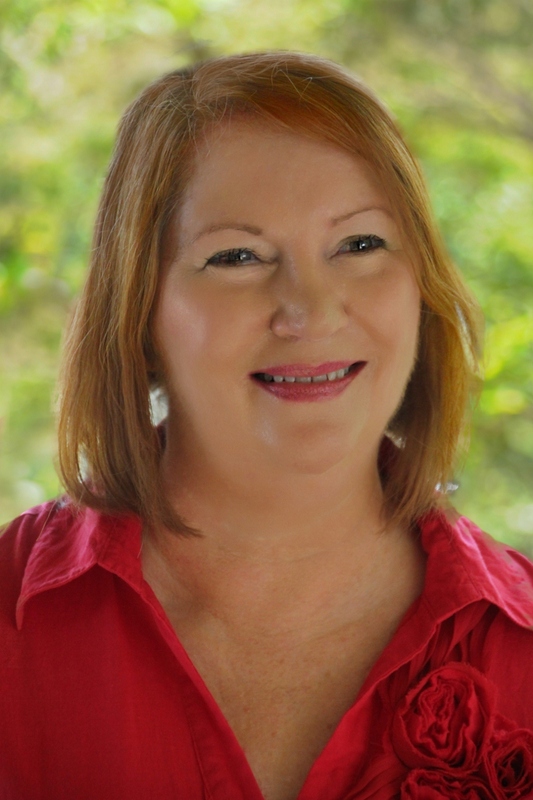 Please comment here or ask Karen a question, to be in the draw for a FREE eBook. Two copies to be won!